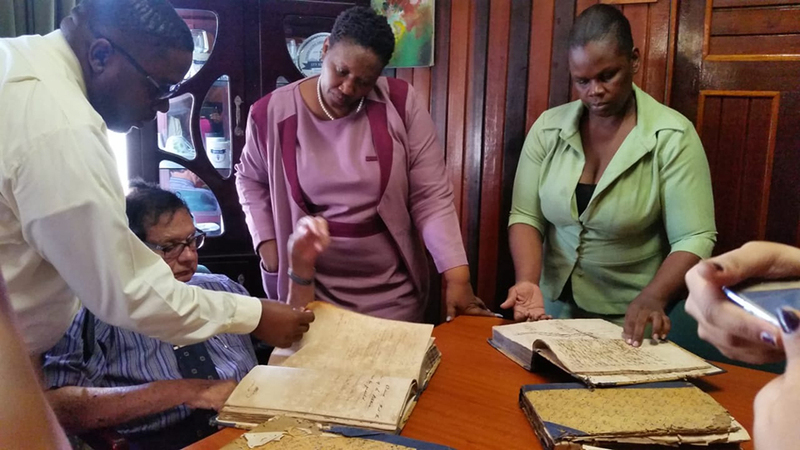 Chairman of the CoI into the operations of the City administration retired Justice Cecil Kennard (second from left) along with legal assistant Sherwin Benjamin (left) examining the “missing record books” at City Hall while assistant Town Clerk Sherry Jerrick (right) looks on. A surprise visit to City Hall to find three missing record books saw members of the Commission of Inquiry discovering that decades of council records are deteriorating in the termite-infested City Constabulary Training School. This is despite the City Administration having told the Auditor General that $19.9 million had been spent to rehabilitate the building. According to the 2017 Auditor General’s report, City Hall had in January 2017 been granted $200 million by the Ministry of Communities for the execution of several projects including the rehabilitation of the Kitty Market; the Constabulary Training School; the City Engineer’s Building; the Constabulary Headquarters Building; and the Albouystown Clinic. The report notes that following the expenditure of the full sum City Hall did not produce evidence to account for amounts totalling $70.489 million including $19,973,000 allegedly spent on the rehabilitation of the Constabulary Training School. Additionally the City could not account for $3,123,000 in payroll costs and $875,000 in building materials ordered for the rehabilitation of the Constabulary Headquarters Building within City Hall compound. 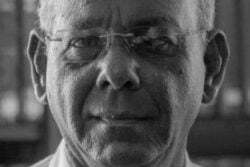 Chairman of the CoI into the operations of the City administration, retired Justice Cecil Kennard, along with legal assistant Sherwin Benjamin showed up at City Hall for a surprise visit yesterday following testimony that records had been removed from the Training School under suspicious circumstances. During his testimony before the CoI, Corporal Quacy Baveghems noted that he had been obstructed by Acting Town Clerk Sharon Harry-Monroe when he attempted to ascertain why two members of the Town Clerk’s office had broken into the school and removed the records. According to Baveghems the security officer at the school had reported to the constabulary that the lock on one of the doors had been broken and the books removed but when he attempted to interview the staff to find out why Harry-Monroe instructed that they not comply with his investigation. During her own appearance Harry-Monroe admitted to having instructed the staff not to talk to Baveghems and stated that the books were in the possession of the Town Clerk’s office. She could not however state what the contents of the books were. In light of this impasse Kennard and Benjamin visited City Hall and were allowed access to the books which turned out to be historical records of the council. Harry-Monroe explained that Town Clerk Royston King had intended as part of the celebration of the City’s 175th Anniversary to display some of the documents but found them to be too frail. She also indicated that the keys could not be found to the records room so the staff was compelled to break the lock. A visit to the Training School found decades of records being stored in a space ill-suited to their preservation. Several of the bound records were infested with “wood ants”, while handwritten records were faded and crumbling in the humidity. The building itself had been abandoned due to its poor physical condition with no evidence of recent repairs despite several announcements at various statutory meetings since January 2016 that repairs would have commenced.